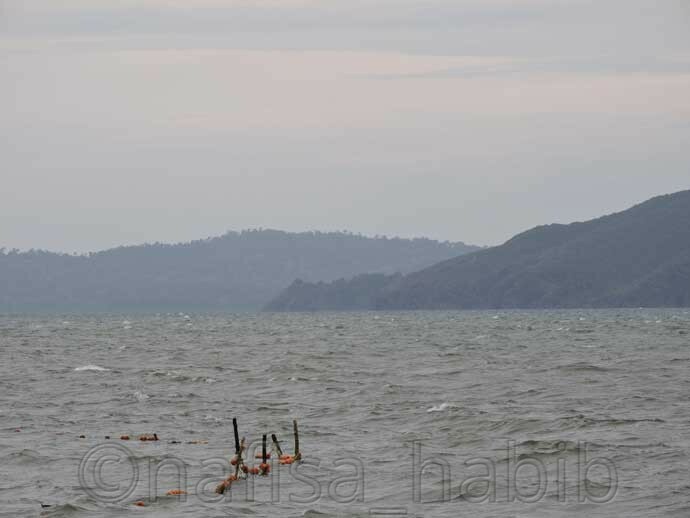 Most tourists don’t prefer visiting the Andaman and Nicobar Islands during monsoon. But not all tourists or travelers are the same. Some enjoy exploring in any seasons and it is also interesting in some extends. 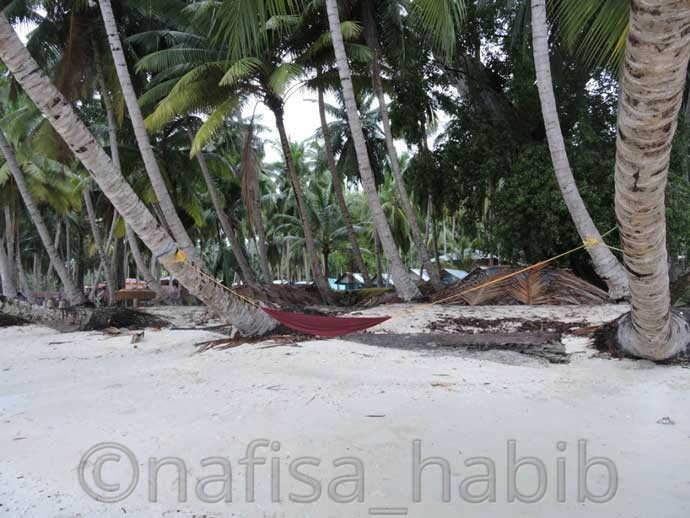 Some destinations remained closed for safety reasons for excessive rainfall otherwise you can move around the Andaman Islands without any problem. So, I’ll focus on some top places to visit in the Andaman Islands and it is safe to explore in any seasons. South Asia’s hidden gem is the Andaman and Nicobar Islands. Here you can experience many new adventures which are not possible anywhere in India and even in other destinations in South Asia. Will you like to miss the opportunity to hop from one island to another island by private luxury yacht or any cruise? 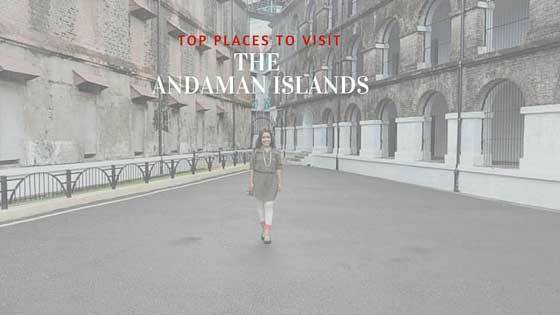 The first place you should visit in the Andaman Islands is Cellular Jail. It is more known as Kala Pani (Black Water) or Death. 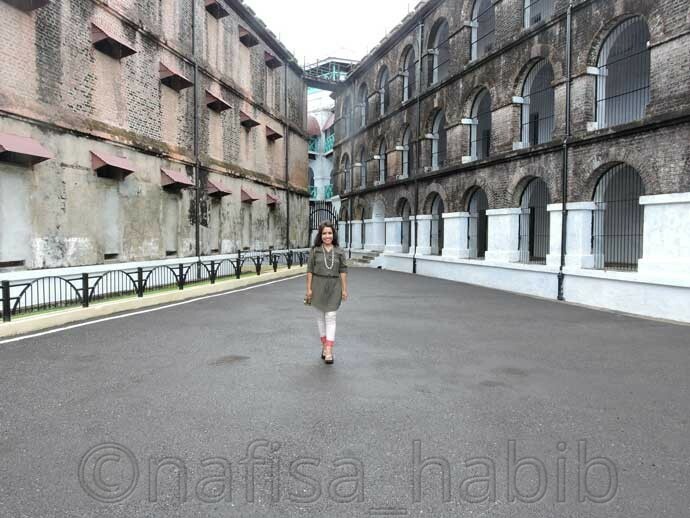 Cellular Jail carries very tragic and brutal memories in the history of the Andaman Islands. British established Cellular Jail (1896 – 1906) to deport political prisoners to the remote Andaman sea. This jail consists of 693 cells and so it named as Cellular Jail. In the evening Light and Sound show at the Cellular Jail is one of the great attractions for tourists to know the history behind Cellular Jail. Cellular Jail located in Port Blair and presently represented as the National Memorial Monument. One Bollywood movie ‘Kala Pani’ filmed inside the Cellular Jail in 1996. Cellular Jail will be always a must-visit top attraction in the Andaman and Nicobar Islands to show respect to all freedom fighters who sacrificed their lives to get back freedom from the British Colonisation. Among 34 – 36 populated islands in the Andaman and Nicobar Islands, Havelock Island got all attention and most popular among tourists. Havelock Island is also one of the most populated islands in Andaman. Here main attractions are scenic, pristine, and sandy white beaches. All beaches are blessed with turquoise and azure waters with the beauty of coral reefs and dense green forests. Must-visit beaches in Havelock Island are Radhanagar Beach, Kalapathar Beach, Elephant Beach, and Vijaynagar Beach. Havelock Island is also much popular for Scuba Dive, Snorkel, and Sea Walk. Scuba diving is possible in any seasons in the Andaman Islands. There are many trained dive schools are here. Beautiful resorts nearby the beaches are the best to stay and overall peaceful destination to explore in the Andaman Islands. Havelock Island is 39 km from Port Blair but it takes just 90 mins to reach Havelock Island by private cruises. Radhanagar beach is the top-rated beach in India as well as famous in Asia. The reason behind the popularity of Havelock Island is Radhanagar beach since it listed as the Best Beach in Asia by the Time Magazine in 2004. Every year many tourists visit the Andaman and Nicobar Islands for this sandy beach. The azure waters with dense Mahua tree forest and Sunset moment are the main attractions of Radhanagar beach. 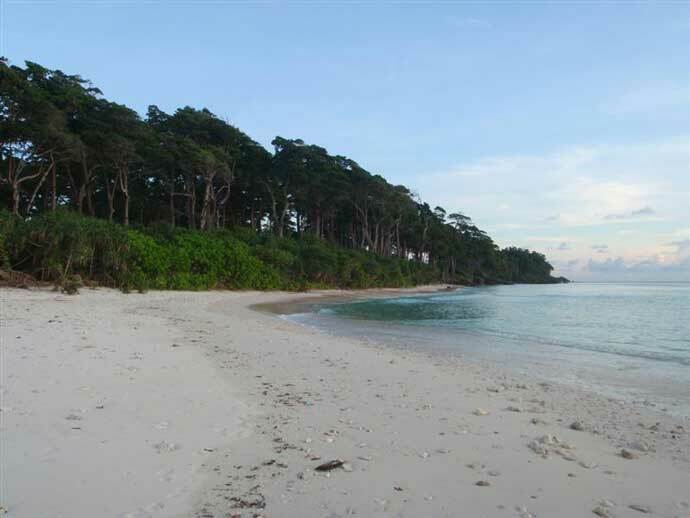 Neil Island is the second most popular island after Havelock Island in the Andaman and Nicobar Islands. 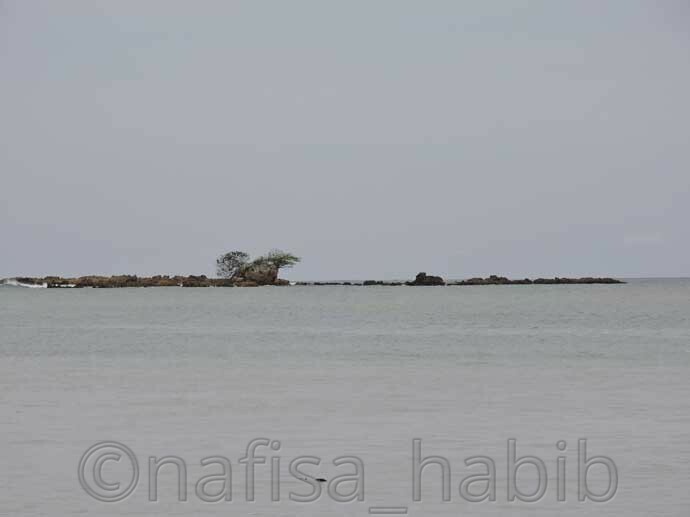 But this little island (5 km) is less populated like a desert but very relaxing, calm, and serene. Neil Island is best for eco-tourism. Here you’ll find sandy white beaches and there are resorts too to stay. Here also you can go for some water activities. Some popular beaches in Neil Island are Sitapur Beach, Laxmanpur Beach, and Bharatpur Beach. You can experience the best sunrise in the Andaman Islands at Sitapur Beach from Neil Island. The sunset from Laxmanpur Beach is also priceless to many tourists in Neil Island. 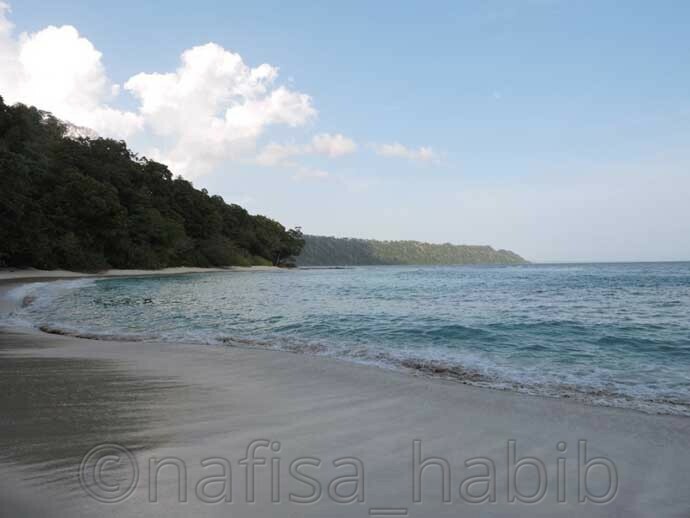 This beautiful island is 37 km from Port Blair and takes just one hour to reach by private cruises. 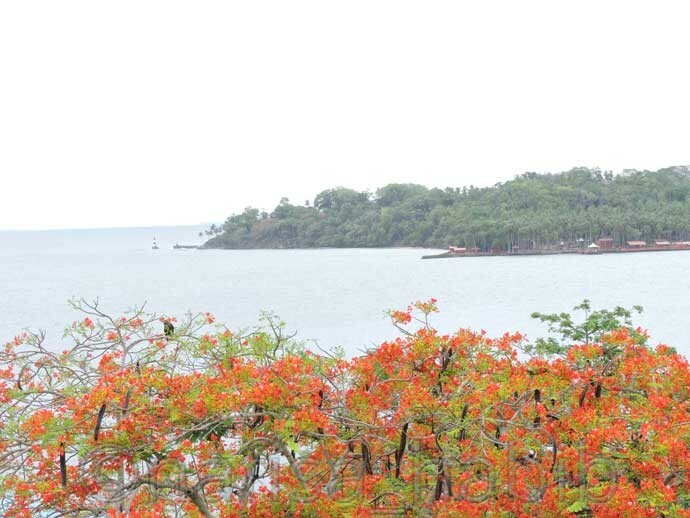 North Bay Island is one of the popular islands in Port Blair and much close from Cellular Jail. One interesting fact about North Bay Island is the Light House. This is the Light House you can see on the back of Indian 20 Rupees Note. The remote view of North Bay Island from the Tower of Cellular Jail is very beautiful. Every season you can enjoy many water activities here but best for Scuba Dive, Sea Walk, and Snorkel. Many private ferry services are available always to take you to explore the beautiful North Bay Island. 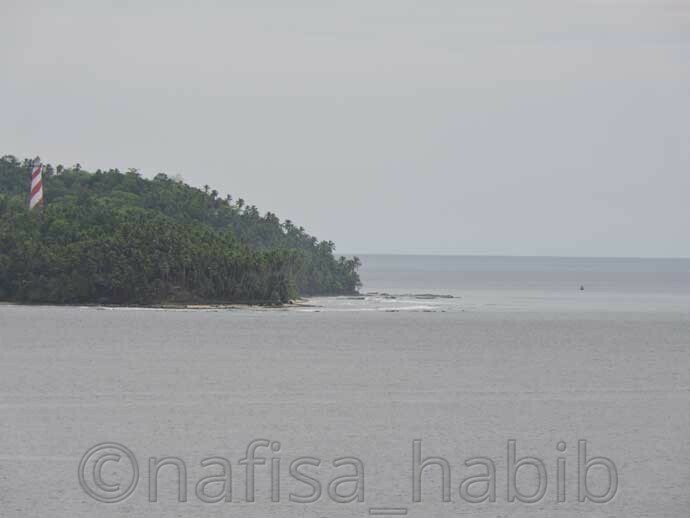 Ross Island is one of the tiny islands in Port Blair and was the capital of British during 1858 – 1941. There are still many British landmarks are here including church, cemetery, a bakery which will take you to that time to explore. The sea view from this island is beautiful and there are many old and uprooted trees also with many birds and animals (mostly Deer). The remote view of Ross Island from the Tower of Cellular Jail is also very beautiful. Many private ferry services are available to take you to explore Ross Island. 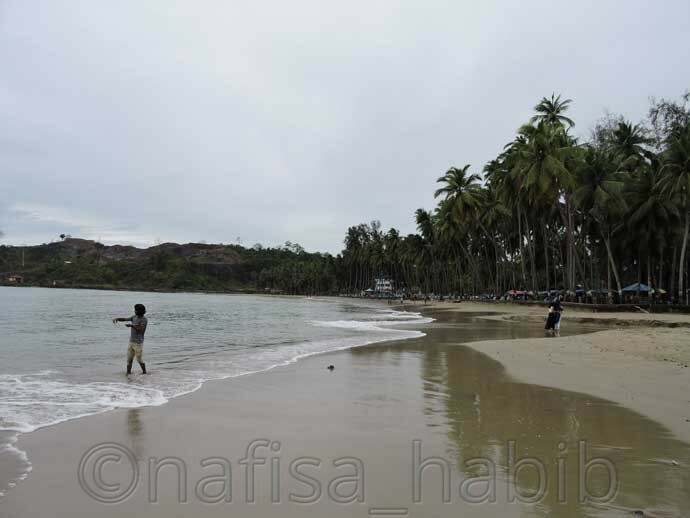 Corbyn’s Cove Beach is the most popular and historic beach in Port Blair. There are many hotels and restaurants nearby this beach. 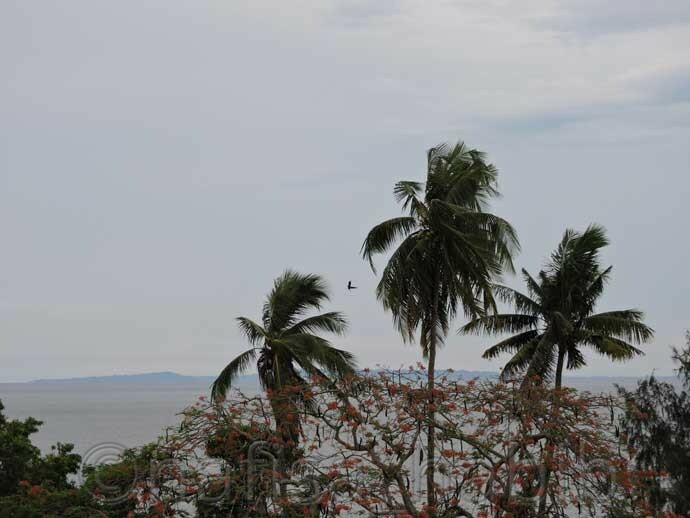 Many long Coconut trees and Snake Island are the main attractions in Corbyn’s Cove Beach. Tourists enjoy here swimming and go for many water sports like Jet Ski, Speed Boat Ride and much more. 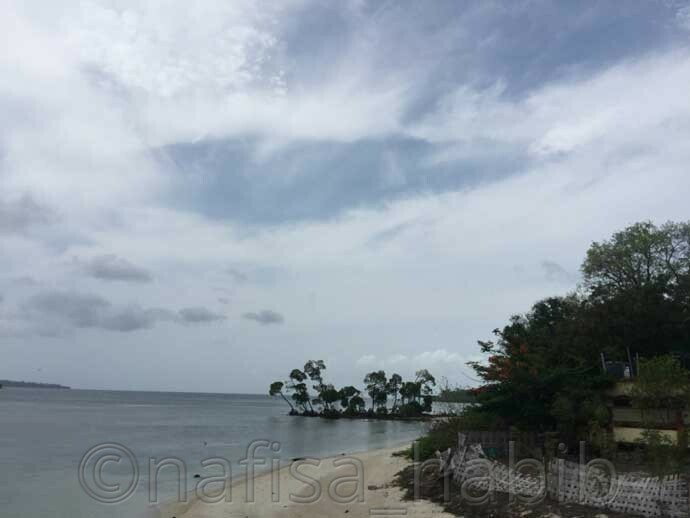 Munda Pahar Beach in South Andaman is much popular among tourists because of the beautiful landscape and many long and old Sea Mohwa trees. There are many other trees too and all maintained nicely. This destination seems a picnic spot where you’ll see many wooden sit-out for sitting and enjoying the beauty of Munda Pahar Beach. Tourists do enjoy swimming here but very windy and sunset view from here is beautiful too. Barren Island is the unpopulated island in the Andaman and Nicobar islands. 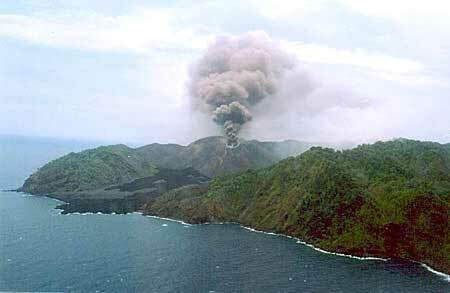 The active volcano on Barren Island is the main attraction. This is also the only active volcano in South Asia. Barren Island is 135 km away from Port Blair. And it is not that easy to explore Barren Island. You’ve to hire a private charter yacht to reach this island and you can’t visit alone, must have 6 to 10 people in the group. And tourists are only allowed to see the active volcano from the yacht deck, no landing is permitted. 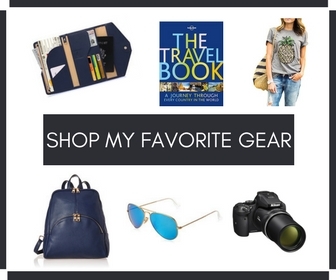 I’m sure you got to choose any season and top places to visit in the Andaman Islands. There is just no way to miss the amazing adventure in the Andaman and Nicobar Islands. 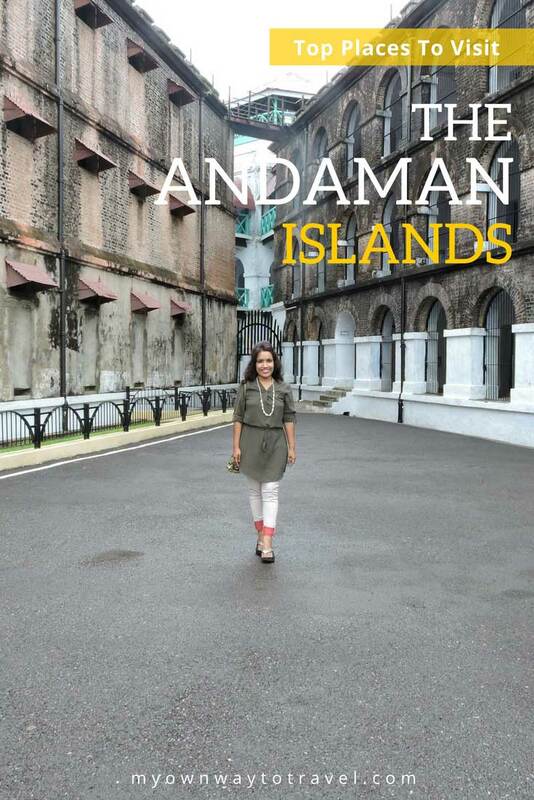 Hence which is the place attracting you the most to explore in Andaman? A nice place to visit. Thanks for sharing your wonderful travel experience. More power!